which he used to absorb the non performing loans that he and his cronies had taken using various shadowy companies. Whistle blower Prisca Mutema has alleged that embattled Central Bank Governor John Panonetsa Mangudya is involved in a US$1 billion fraud that saw him and his cronies benefiting from loans taken from various banks in then country. Mangudya allegedly set up the Zimbabwe Asset Management Company which he used to absorb the non performing loans that he and his cronies had taken using various shadowy companies. “A lady Executive Director, got a loan of US$2 million, for example. They never paid these loans back. Politicians, ministers and connected people also got loans from CBZ, which is basically a state owned bank, beholden more to government than its private shareholders. “When Mangudya became RBZ boss, the biggest issue in the Financial Sector was Non Performing Loans. These were decimating the banks financial images. But these NPLs were mostly the insider loans, loans to politicians, ministers etc who just decided not to pay them back. “Some influential newspaper people also got the loans as well, including journalists in ALL publications who were used to write hatchet jobs against targeted political opponents. This explains why they chose to never report on this scandal. 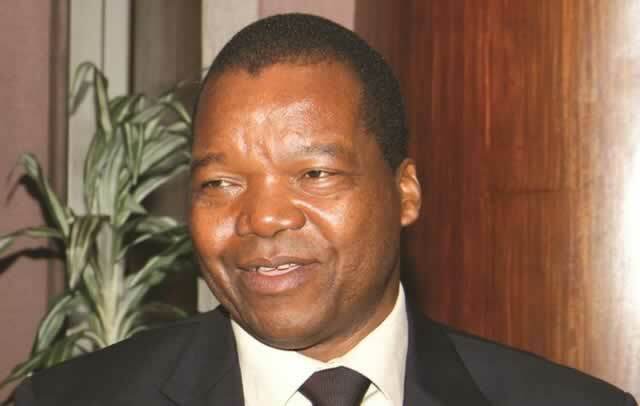 “Mangudya set up ZAMCO,( http://zamco.co.zw/ ) in July 2014, to take up the toxic non-performing loans from the banks and force them on taxpayers through this shadowy company. Why is it shadowy? “Because Parliament asked for a public, detailed breakdown of these loans that taxpayers were now being asked to pay back. “Who were the companies and individuals whose loans were non-performing and were being taken over by ZAMCO? Chinamasa and Mangudya refused point blank to release the details of each single loan now being paid back by taxpayers through ZAMCO. They refused, just like that. The matter was dropped. “To this day, there is no public, detailed, loan by loan accounting of the NPLs taken over by ZAMCO/RBZ. Many executives at banks (especially CBZ), politicians etc, had their loans paid back by you and me. Their debts were basically forgiven! “In July this year The Chronicle reported that the Zimbabwe Asset Management Company has since its establishment absorbed $1 billion Non-Performing Loans (NPLs) at banks for various companies to help the businesses turnaround. “To add insult to injury, those same executives at banks like CBZ, went back to their own banks and approved more loans for themselves the moment their debts were forgiven by being taken over by ZAMCO! “We need a full a proper accounting of the NPLs taken over by ZAMCO. We need to know whether the companies and people whose NPLs were paid back by your taxes and my taxes had any assets that could have been seized, attached etc to be sold off to repay these loans. “A lot of them still live in multi-$ houses paid for by your taxes, bought fancy cars, went on spending sprees and holidays and never had to pay back what they borrowed. Not a single one of them borrowed this money for productive purposes. “Mangudya must tell the country who took out that more than US$1 billion in loans and failed to pay back. We must get names and figures. You will be shocked at the sums and the names in there.